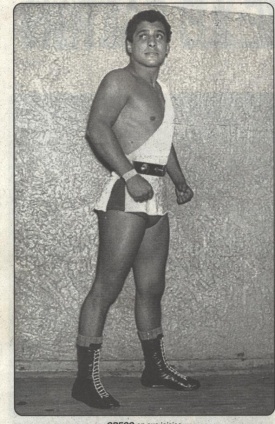 Veteran luchador who was one of the earlier wrestlers to do an exotico gimmick. Was always considered a good worker and to be in great condition which allowed him to wrestle through three different decades. His career ended in AAA after he took on the Karis La Momia gimmick for just under a year. Due to his legendary status he was able to also get his son Super Calo into the promotion and even after his retirement he stuck around as a referee. Disapeared from the world of Lucha Libre in the mid-90's but eventually returned to work some angles with his sons for AAA in 2006. This page was last edited on 14 December 2018, at 11:11.